Norm Sargent passed away Thursday, March 14. He was preceded in death by his wife Betty, to whom he had been married for 60 years, his grandsons Tim and Scott, his brothers Grant and George, his sister Noreen, his niece Sharon and his nephew Charlie. He is survived by his children Rod, Diane (Jay), Brian (Jan), and Craig, 10 grandchildren, 8 great grandchildren, and several nieces and nephews. Norm was born in Seattle in 1921 to Crozier and Mary Frances Sargent. They moved to Tacoma when Norm was 3, and he began his long practice of walking by going back-and-forth to Point Defiance from their house on 27th and Stevens. They moved back to Seattle and settled on Angeline Street, where childhood memories would be made. He and his brother Grant would have a wonderful time fooling their Ma and getting into mischief. Norm graduated from Cleveland High School in 1940. After working at Sears Roebuck and Company for a year he began Seattle College in fall of 1941. He put his engineering degree on hold in spring of 1942 and traveled to New York City to join the American Field Service. After training he was sent to South Africa, eventually ending up as an ambulance driver in North Africa. Norm cared for wounded soldiers in battle outside of Alexandria, including the battle of Alamein. After fulfilling his commitment, he worked his way home on the Liberty ship Timothy Pickering. The ship was bombed by a German plane and sunk in the Mediterranean. Norm escaped by finding his way through smoke-filled halls, jumping in the sea, and swimming around the ship in the “water on fire”. He was rescued and returned to the United States. After returning he was drafted into the Army/Air Force in 1943, training to be a gunner on a B-17. Fortunately, peace was won before he was sent back into battle. Norm resumed his schooling at Seattle College where he met the love of his life, Betty Sill. They married in 1948. Norm subsequently earned a degree from Lewis and Clark College in 1952 and added a masters in 1954. Norm would want to make sure that you knew he came within just a couple of classes of completing his doctorate from the University of Washington, but stopped when Betty told him she needed him home to help with the kids. 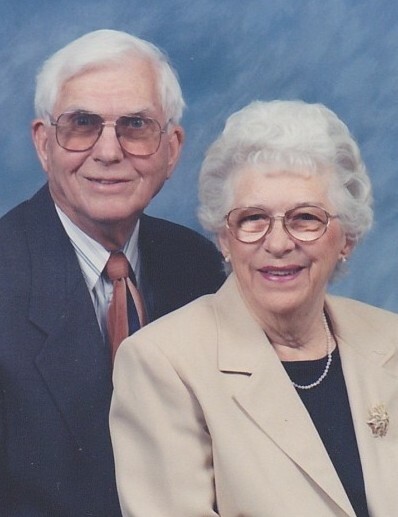 After being married in Camas and living for a short time in Washougal, Norm and Betty settled in South Seattle and raised 4 kids, with dad building them a house and staying in it for the last 60 years. They loved to travel and took advantage of retirement , visiting Ireland, England, France, Italy, the Mediterranean, the Panama Canal as well as numerous destinations across the United States. ‘Stormin Norman’ began his career in education as in English/History teacher at McKnight Middle School in the Renton school district, moving to Renton High School as a math teacher in 1960, and eventually becoming vice principal in 1969. He spent the last 15 years of his career patrolling the halls of the school that meant so much to him. When Norm looked back, he always said “I was glad I was in education”. Norm served as president of the Renton Education Association, president of the Rainier Beach Community Club, volunteered with St. Vincent DePaul, and for several years he and Betty helped to feed the homeless through the Saint Martin de Porres shelter in downtown Seattle.